GRAND FORKS, N.D. (Feb. 20, 2018) – The University of North Dakota Alumni Association & Foundation has named seven honorees for the 2018 Sioux Awards, set for September 20 during the 2018 Homecoming Week. Phil Jackson, '67, HON '08; Lauris Molbert, '79, '83; Michael Lodoen, '65; Jeanne (Heilman) Crain, '82; and Mary (Muehlen) Maring, '75; will receive the Sioux Award, while Darren Moquist, '00, and Kayla (Hoerth) Delzer, '08, '14, will receive the Young Alumni Achievement Award. 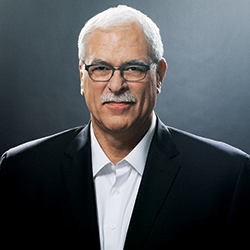 Phil Jackson is widely considered one of the greatest coaches in the history of the National Basketball Association. Jackson led the Chicago Bulls to six NBA titles from 1989 to 1998 and the Los Angeles Lakers to five championships from 2000 to 2010. Jackson, a standout player at UND, was drafted by the New York Knicks in 1967 after graduating from UND with a degree in philosophy and religion. He received an honorary doctorate from his alma mater in 2008. 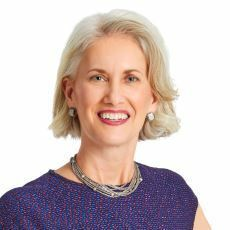 Jeanne (Heilman) Crain has been Chief Executive Officer of Bremer Financial Corporation, Minnesota's largest commercial bank, since November 2016. 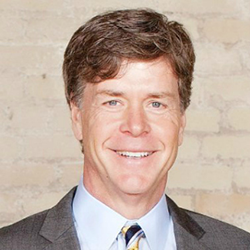 Crain joined Bremer's senior leadership team in 2012. 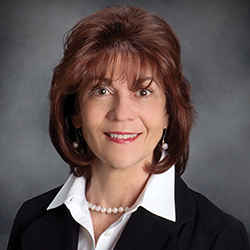 She has more than 34 years of banking experience, working in a variety of roles. Crain serves on the boards of the Greater Twin Cities United Way and the YMCA of the Greater Twin Cities. She also serves as co-chair for the Governor’s Task Force on Housing and is a member of the Itasca Project and Minnesota Women’s Economic Roundtable. Crain received a degree in banking and finance from UND in 1982 and holds a master’s in business administration from Marquette University. Lauris Molbert is the former CEO of TMI Hospitality, a developer, operator and owner of select-service and extended-stay hotels. The Fargo-based company manages nearly 200 hotel properties in 26 states and employs more than 4,000 people. Prior to his work at TMI, Molbert was Executive Vice President and Chief Operating Officer at Otter Tail Corporation. Molbert received his bachelor's degree in banking, finance and accounting from UND in 1979 and a law degree in 1983. Michael Lodoen is president and co-founder of L&D Construction Co., a residential general contractor that has built more than 10,000 homes, condos, townhomes and apartments in the San Francisco Bay area. Lodoen helped fund a charter school in San Jose, California, for underprivileged children. Lodoen grew up in Bottineau, N.D., and graduated from UND with a BS in Civil Engineering in 1965. 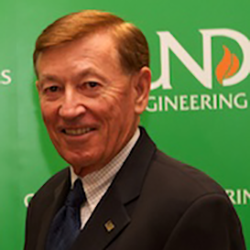 He was inducted into the UND College of Engineering and Mines Alumni Academy in 2013. Kayla (Hoerth) Delzer is a 3rd grade teacher and technology champion in North Dakota. She is a columnist for Edsurge and a blogger for Edutopia, where she writes about a variety of educational technology and design topics. A 2015 Tedx Talk given by Delzer in Fargo has been viewed more than 175,000 times on YouTube. Delzer frequently travels around the United States as a keynote speaker Delzer earned a bachelor's degree in Education in 2008 and a master's in Elementary Education from UND. Darren Moquist is the Chief Financial Officer of UnitedHealthcare Employer & Individual, one of the nation's leading businesses dedicated to serving the health and well-being needs of employers and individuals. He assumed that position in 2014 after serving as Vice President of Finance and Director of Corporate Development. Prior to joining UnitedHealthcare Employer & Individual, Moquist worked for Deloitte and Arthur Andersen. Moquist earned business and accounting degrees from UND in 2000. This year’s Sioux Awards banquet was held on Thursday, September 20, at the Alerus Center. The Sioux Award is the highest honor given by the UND Alumni Association & Foundation for achievement, service, and loyalty. Since its inception in 1962, this distinguished award has been presented to leaders in government and business, high achievers in various professions, and alumni who have dedicated their lives to service for others. The Young Alumni Achievement Award was established in 2002 to recognize recent graduates of UND who have made a mark in the short time since they attended the University.